Balloon Movie Review: In Kollywood, again the industry released around 200 films including the films which all released on 29th December 2017. Balloon is one of the films out of four released on last Friday of 2017. Also, this last horror of this year along with Sangu Chakkaram. But the both of the films had a major difference, Sangu Chakkraram is mainly for kids to enjoy the weekend. Balloon is the horror thriller, which directed by debut Sinish. The film has taken with the help of Dhilip Subbarayan, Arun Balaji, and Nandakumar as they are the producers of this film. Including Jai, Anjali, and Janai as lead characters, the film has more other supporting characters. In the Saravanan cinematography, Ruben worked as an editor. We can notice that the Kollywood had many horror films in this year, also non-horror thriller joins at the end of the year. Actor Jai’s first full-fledged horror film is the Ballon who already made a cameo appearance in the hit film Sangili Bungili Kadhava Thora. From the trailer of this film itself, we can notice that the two heroines of the film had the ghost role. While Janani in retro, Anjali seems in modern. The film revolves around balloons. As usual story background that the young love boy and girl visited a house, there is a flashback for the reason behind the balloons with horror effects. Yuvan Shankar Raja has composed the music. He used the popular dialogue of Oviya ‘Neenga Shut Up Pannunga,’ a catchphrase for the title track, has struck a chord with the viewers. Karthik Raja V: Neatly worked Horror Comedy flick. Do experience the chill moments in theatres. Yogi Babu & Karthik yogi scenes are mass. Congrats Sinish brother and team. Prashanth Rangaswamy: Balloon interval – Laughing my lungs out here. Yogi babu’s name is panda and he eats mutta bonda. Your stomach will hurt from his comedy. A street-smart commercial horror flick from Sinish. So looking forward to the second half ! Rajkumar Periasamy: Enjoyed the premiere last night Sinish. U guys have made an entertaining horror thriller filled with humor. Wishing u all success with Balloon. 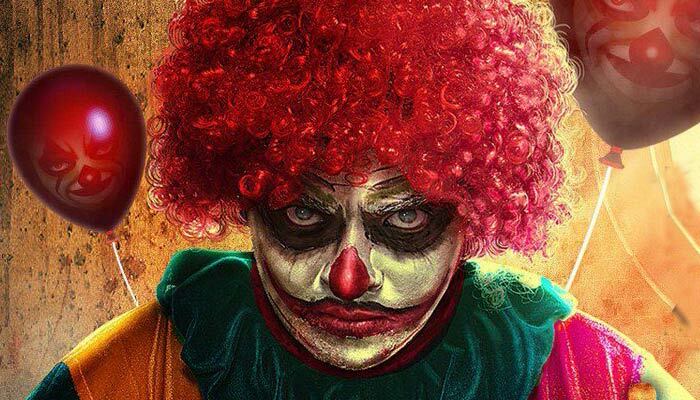 Review Ram: Balloon Interval – Scary at times, usual horror treatment and predictable stuff. Camera work and BGM are fine, Yogi Babu’s counter punches are rocking. The breakpoint is intense. ‘Well packaged’ so far. Abishek S: Yogi Babu on fire! Also liking how it is shot! Sinish makes the balloon fly high using comedy and a back story that doesn’t get completely revealed! 2nd half is tad longer, but post climax did have a nice touch! Made on the classic revenge drama premise, Balloon might work for a leisure watch!